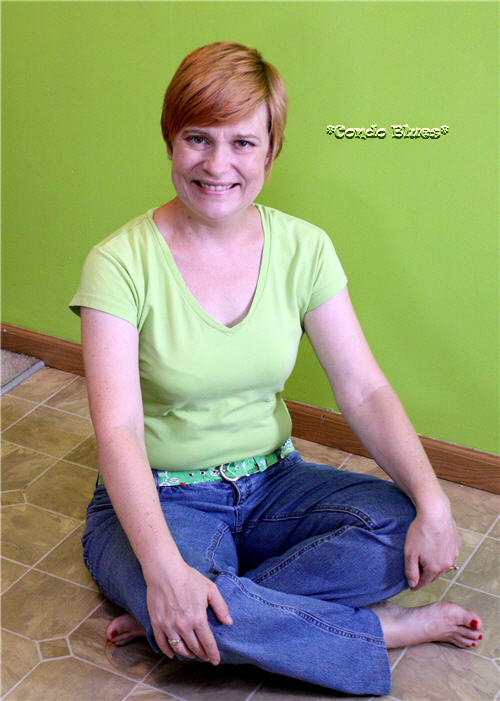 you sit criss cross applesauce ifyaknowwhatImean. 1. 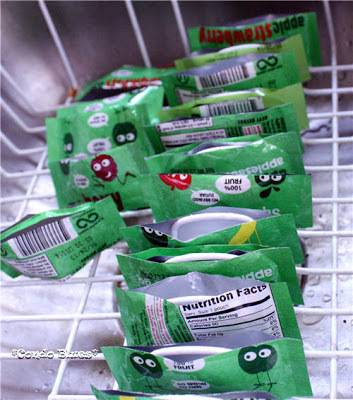 Enjoy Go Go squeeZ and rinse out the empty the packets with water. 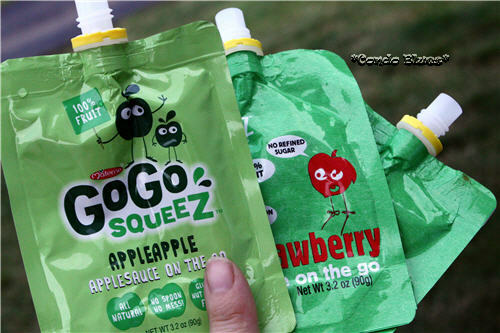 Tip: Put Go Go squeeZ in the freezer for a little bit to make a lactose free slushie. Yum! 2. 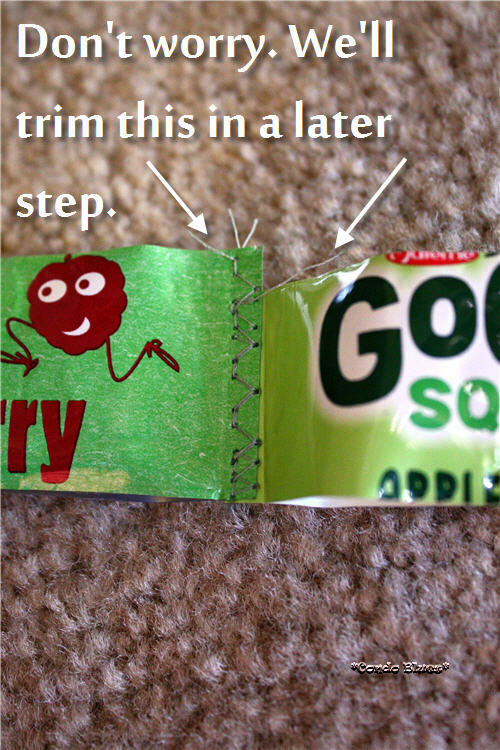 Cut the empty pouches to the same width as your ribbon. I cut mine the length of width of the packet but lengthwise works too. 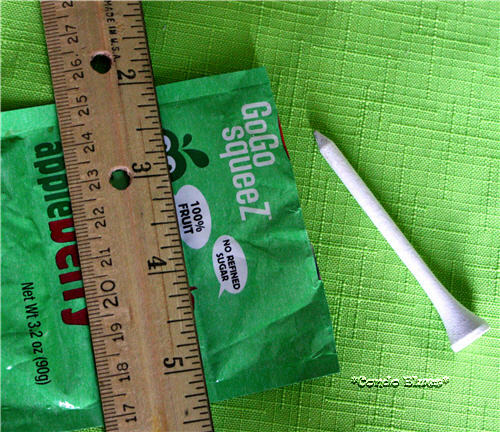 Tip: I used a golf tee to make my cut line on the foil package so I didn't have to worry about erasing pen or pencil marks. Disclosure: I have no idea why we have a golf tee in the junk drawer. We do not play golf. 3. Give the cut packets an extra wash with dish detergent and water and allow them to to dry. 4. 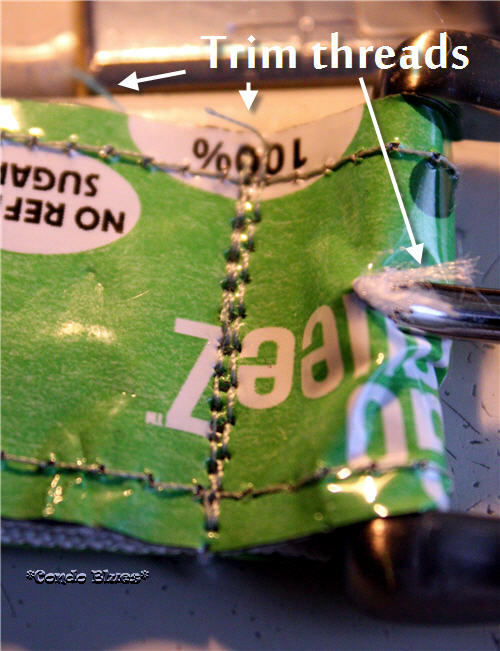 Sew the pouches together end to end using a zig zag stitch with the sewing machine and thread. 5. 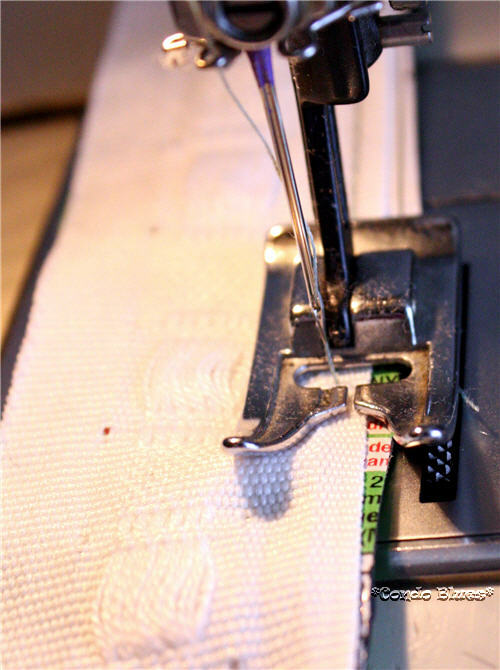 Using the sewing machine, sew the chain of pouches to the each side of the ribbon. I used a straight stitch on the sides for giggles. A zig zag stitch works too. 6. 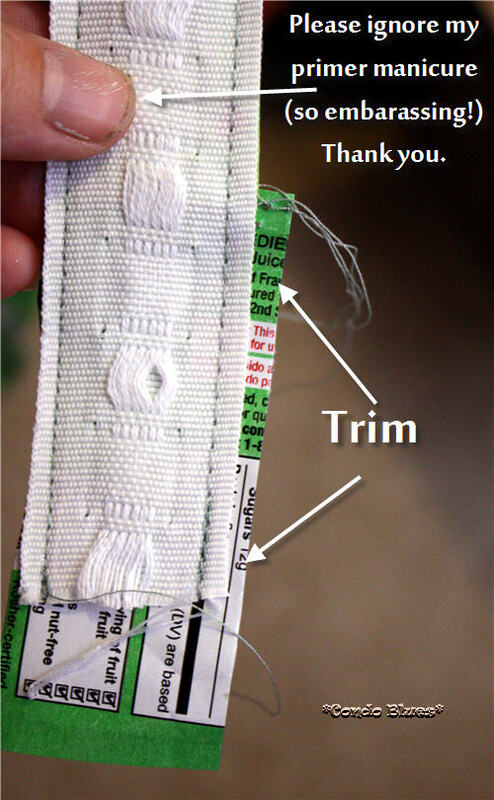 Trim the edges of the packets to the same size as the ribbon and clip the ends of any errand threads as needed. Ya caught me. I sometimes work on a second project while I am waiting for paint to dry on the first. 7. 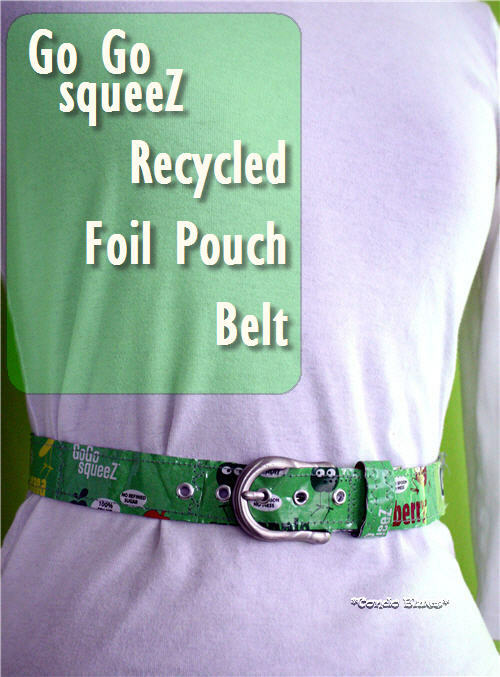 Make the belt loop by folding a packet to 1/2 inch and stitching the folds into place. Stitch the ends together to make a loop. Zig zag stitch whee! Fun! 8. 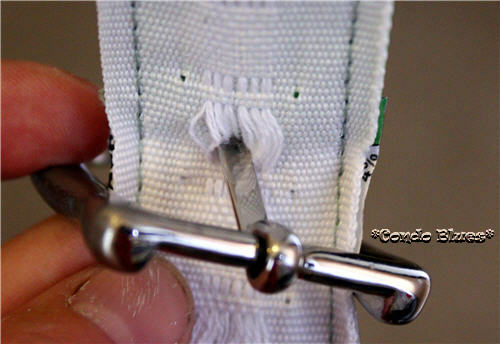 Use the grommet tool to poke a hole in the belt and thread the buckle tine through the hole. 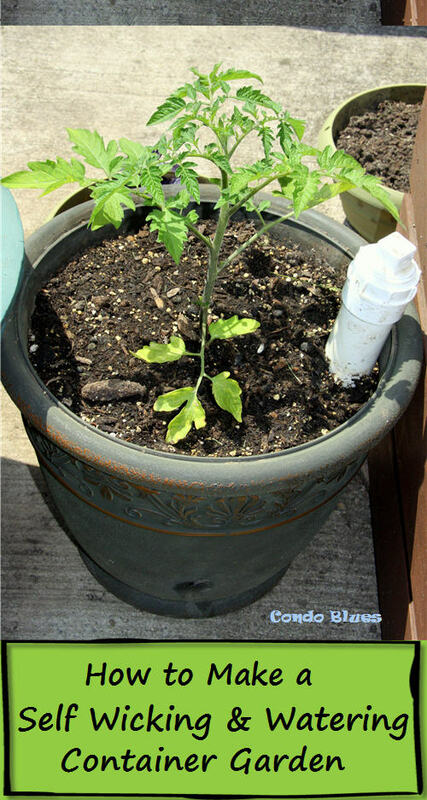 I bet you had no idea that sticky thing on your belt bucket is called a tine until now, right? 9. 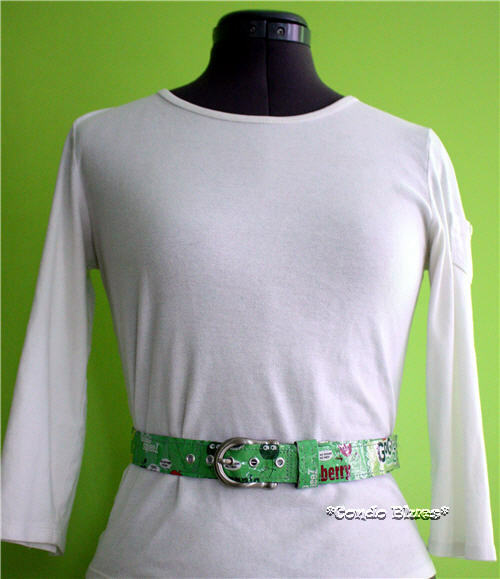 Fold the belt over the buckle and straight stitch it into place. I made a double stitch for stability. 10. 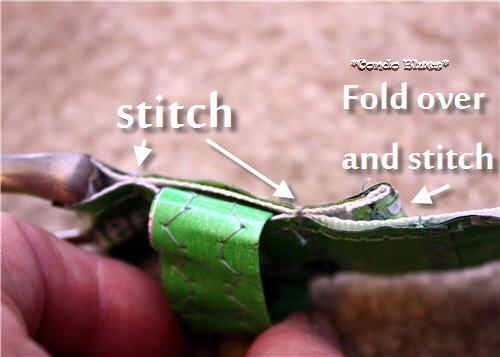 Slip the belt loop onto the belt near the buckle and straight stitch the flap into place to hold the loop. For added niceness (and because if I don't I'll get an email from my Mom telling me she taught me better about finishing my edges) hide the rough edge of the ribbon by flipping the last bit of pouch the edge and stitching it into place. 11. 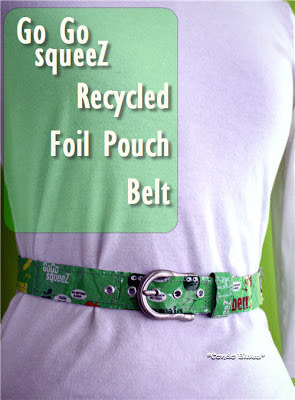 Punch holes in the belt with the grommet tool and then use the grommet tool to crimp grommets into the belt holes. 12. Go, go, go wear your new belt. Oh yeah! 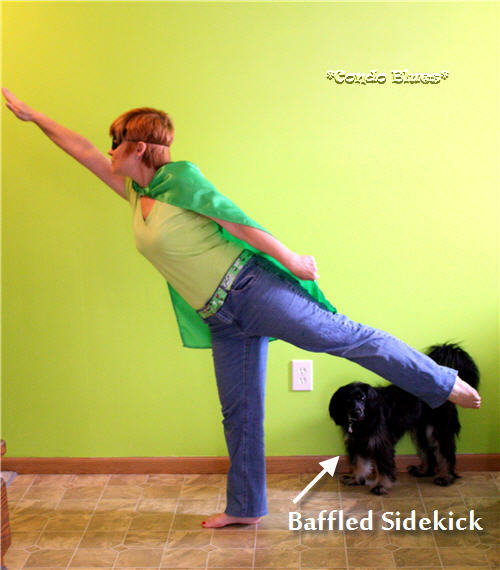 Like a cape and a mask to hide my secret identity! 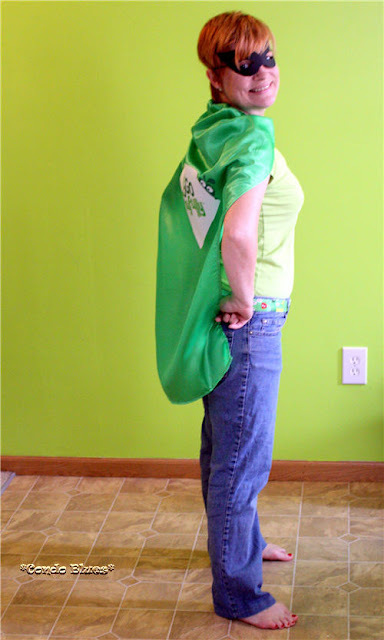 I'm a super (psycho) apple saucing loving pouch recycling superhero. Boo-yah! Come my trusty Lacey, let us fly! Wheeeee! Did I succeed with getting in touch with my inner jester as part of my Project Me? Yes? No? 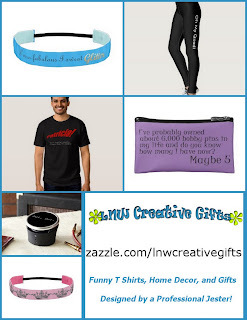 No matter, because this time my playing around on the Internet is helping some kids by way of Go Go squeeZ at the same time I need to keep my pants up so it's all good. You guys, I'm only going along with Lisa's wackdo photos because she promised to pay me in treats. You can help too. 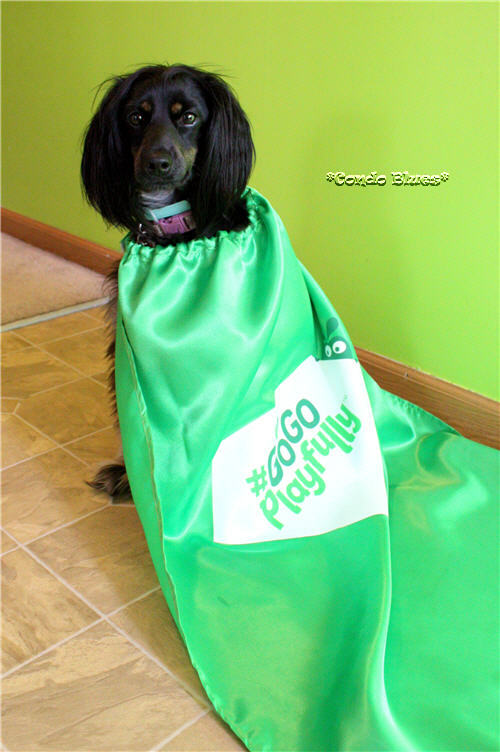 If you share Go Go squeeZ's hashtag #gogoplayfully (I use the hashtag on appropriate Twitter and Facebook updates, and some of our fun dog park pictures I put on Instagram. Follow me, please?) or share any of the multimedia content on GoGoPlayfully.com, GoGo squeeZ will donate $1.00 to The Life is Good Playmakers (up to $100, 000) so everyone can have an opportunity to go - and grow - playfully.